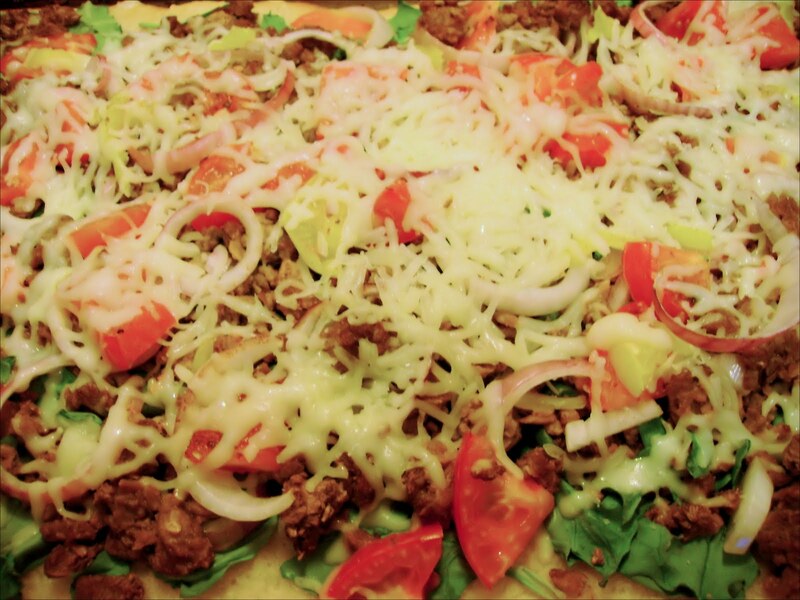 Here I am again making pizza, not only because it's superfast and simple, practically magic in the kitchen, but also because it's the perfect meal to sharpen culinary skills. Up until last year, I was a first generation noncook with no culinary skills beyond toasting bread. 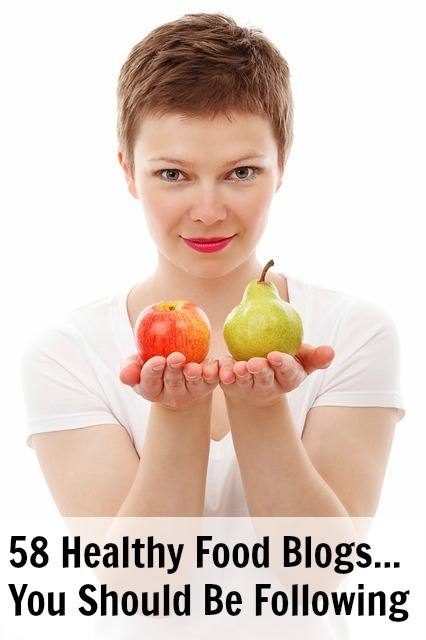 Hear, hear, newbie cooks! Practice, practice, practice creates perfect pizzas! 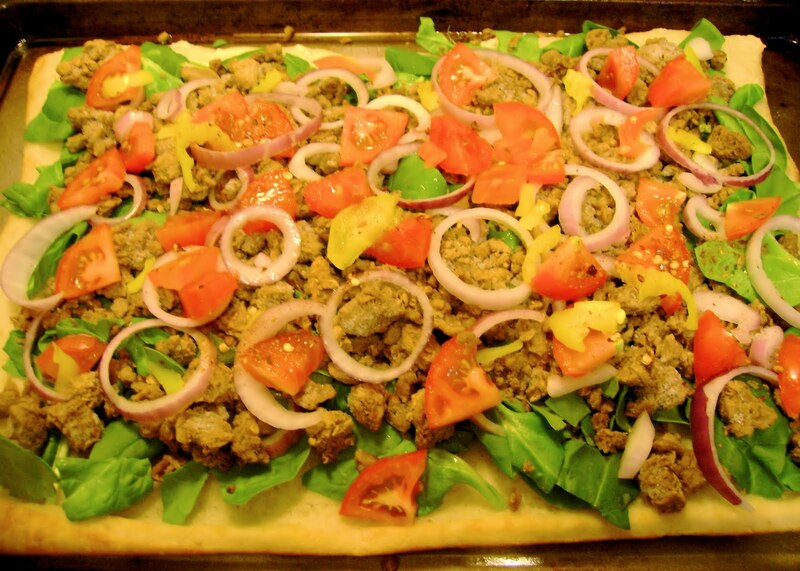 Garden Fresh Pizza with Vegetarian Sausage is adapted from Cooking Light Superfast Supper's Roasted Red Pepper and Spinach Pizza recipe. To get the most flavor out of this recipe, I am using fresh vegetables from my own garden. 2. While crust bakes: slice onion, tomatoes, and banana peppers for pizza. 3. 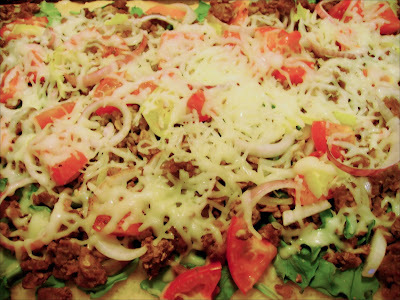 Arrange toppings on pizza and bake. Total time 21 minutes; prep 7 minutes, cook 14 minutes. 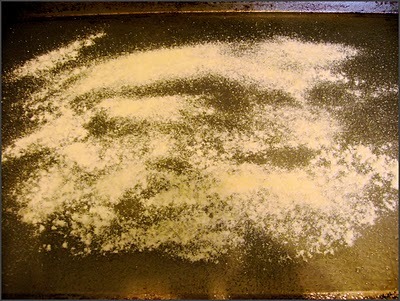 2) Sprinkle 1 tablespoon cornmeal onto a large baking sheet coated with cooking spray. 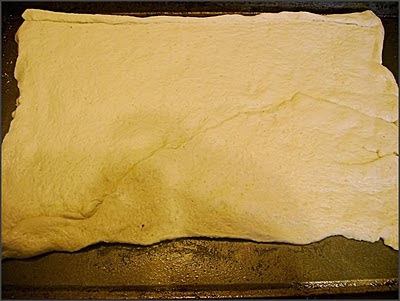 3) Unroll pizza dough onto prepared baking sheet, and stretch sides gently into an 11 x 15-inch rectangle. Bake at 400° for 7 minutes. 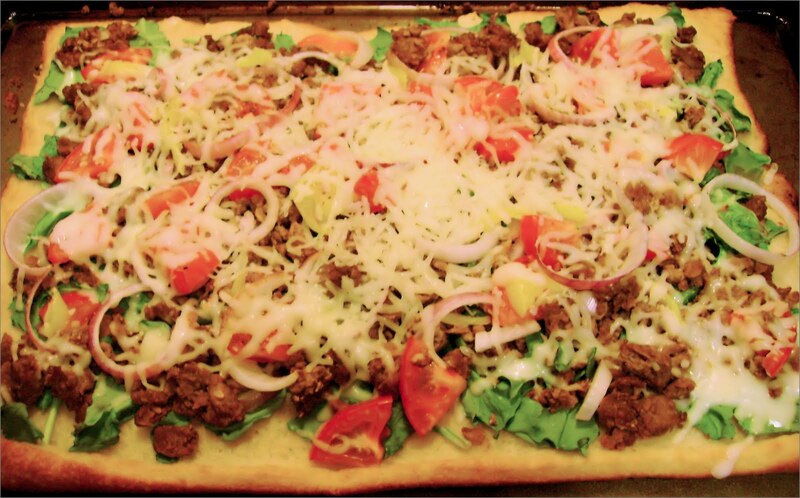 I am using Pillsbury Thin Pizza Crust. 4) Remove crust from oven. 5) Layer spinach, banana pepper, tomato, onion, and "sausage" over crust. Sprinkle with crushed red pepper. Bake at 400° for 5 minutes. 6) Sprinkle with cheese and bake 2 minutes or until cheese melts. 8) Cut into 8 pieces. Article first published as Garden Fresh Pizza with Vegetarian Sausage on Blogcritics.